This was certainly a bit of a difficult shot to work with, since I'm taking the photo in the direction of the sun. It wasn't all that interesting technically coming straight out of camera, yet something about this spoke to me about the experience of being in this place. Using some HDR techniques on one original exposure, I was able to rescue what would have otherwise been not all that interesting, or even good, photo. 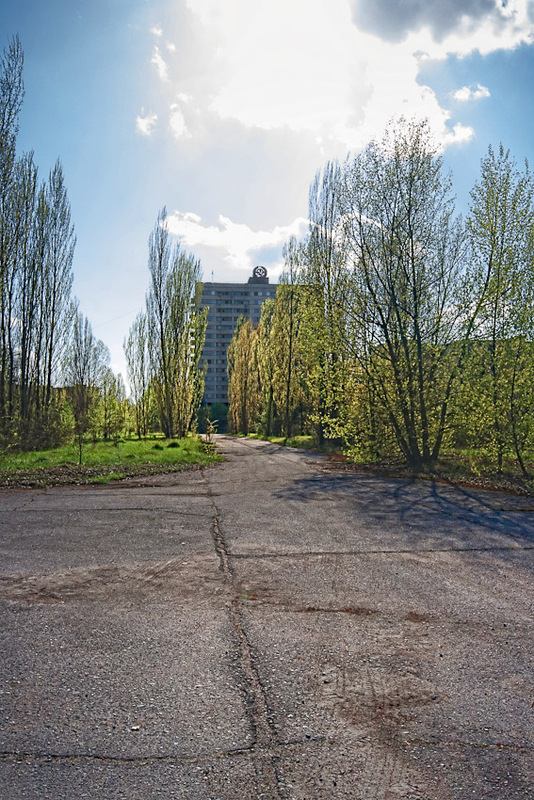 This was taken at our first stop in Pripyat and the building is the tallest building in the town. Height is 16 floors.